Lugarde lean-to verandas are available to a maximum depth of 4 metres but any length is possible. 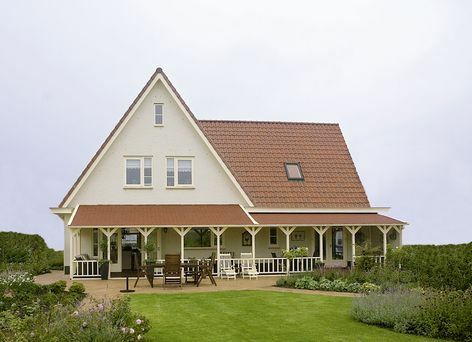 You can choose between a pitched or flat roof style and there are many options to choose from including decorative post pedestals, balustrading, Siberian larch flooring and posts. The veranda pictured below measures 3m deep x 7m long. 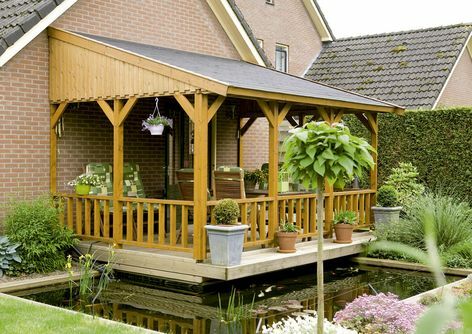 The Emma veranda features a pitched roof and measures 300cm x 700cm. The model shown includes 10 posts with braces and balustrades as shown. Verandas can be supplied with optional larch floor. The veranda pictured below measures 4m deep x 8.6m long. 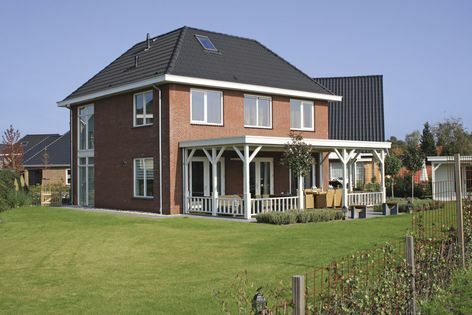 The Winston veranda has a flat roof with EPDM rubber roofing system which is excellent for flat roofs. The roof measures approx. 400 x 860cm and the model shown includes 8 posts with decorative pedestal bases and balustrades.